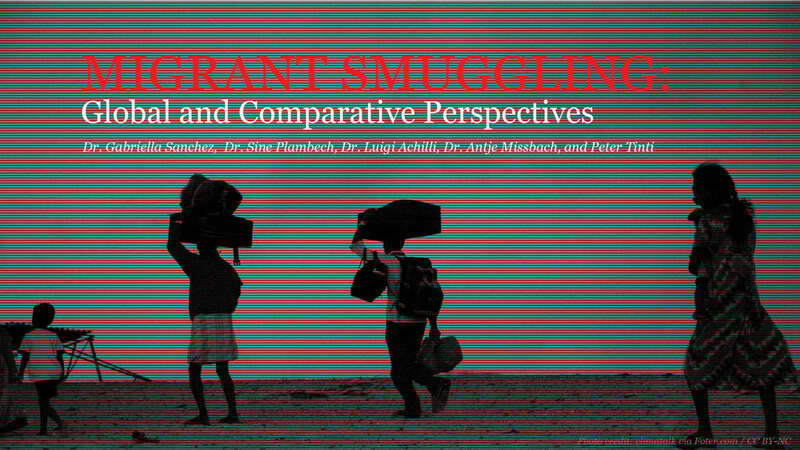 Dr Luigi Achilli of the Migration Policy Centre will be a key speaker at the symposium “Migrant Smuggling: Global and Comparative Perspectives” that will be held on 5 April at the University of El Paso in Texas (USA). The event will consist of a series of quick lectures on smuggling trends in the Pacific, Asia, the Middle East, Africa, the Americas and the US Mexico border. The aim of this symposium series is to provide United States homeland security enterprise practitioners and policymakers a global view of migrant smuggling with the opportunity to get an insight into the “lessons learned” from other international locations. A panel of international researchers whose work focuses specifically on the operation of smuggling groups will answer questions fundamental to understanding these groups’ organization, scope and reach. Presentations on the increased sophistication of smuggling groups, their metamorphosis and growth; the role of organized crime, religion and conflict; the importance of social media and technology in the smuggling market, and the development of interactions among migrants and smuggling groups across vast distances will provide attendees with unprecedented insights into smuggling operations and their dynamics.